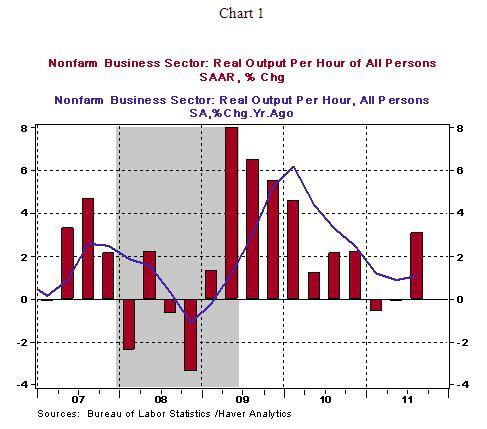 Productivity of the U.S. economy rose 3.1% in the third quarter, after posting decline in the first-half of the year. The downside of the improvement in productivity in the present environment is that it prevents firms from increasing payrolls. Unit labor cost dropped 2.4% in the third quarter compared with gains in the first six months of the year. 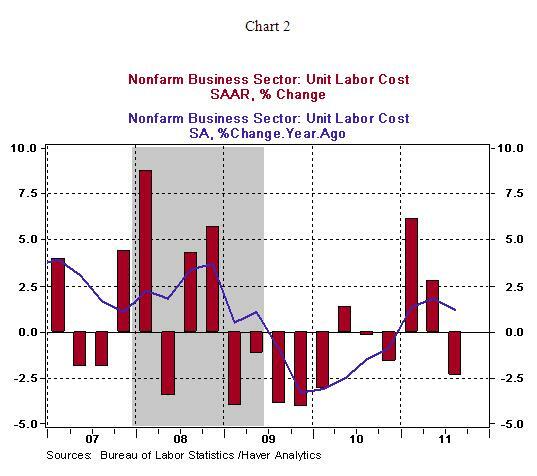 The recent trend of unit labor cost suggests that labor cost pressures are absent (see Chart 2) and do not present a threat of inflation. This is a source of comfort as it allows the Fed to focus on economic growth in the formulation of monetary policy.